Receive 1 FREE night when you book 7+ nights and pay a min. of 6-nights at this resort. For travel now - Dec. 31, 2020. View Accommodations Page to see applicable room categories. Free nights offer applies only to adult rates (children do not receive the free night). Offer is valid on new bookings and requires a minimum of 6-paid nights. Offer is combinable with other Beaches consumer saving promotions. Promotion is combinable with Sandals Select Points. Credit vouchers are subject to Terms & Conditions of any promotion and may or may not be combinable. Other savings depend on resort and length of stay. Offer may not be applicable for group bookings. Offers may be changed or withdrawn at any time. Not responsible for errors or omissions. 7-Day Offer with 7% off at 7 Select Rooms. Book at this specific resort and receive an automatic additional 7% off by Apr. 23, 2019. Booking window: Apr. 17 - 23, 2019. View Best Value Suites & Accommodations to see applicable accommodations. Offer is valid for new bookings only. The reservation can only be made for these specific Beaches Resorts. Offer valid for specific room categories. Offer valid for bookings made Apr. 17 - 23, 2019. Offer valid for select travel windows depending on resort and category. The offers are not redeemable for cash and cannot be used to pay the balance of any booking, applicable tax, service charge, or gratuity. They have no cash value and cannot be sold or exchanged. This promotion is also subject to our Standard Promotional Conditions including blackout dates and is combinable with all of our Standard Resort Offers and current Loyalty & Travel Desk discounts. In addition, this promotion is subject to the conditions set out by our Standard Disclaimers. Book Online and Get an Instant $25 Credit. For travel now - Dec. 26, 2019. Featured price is in US Dollars. Offer is combinable with all current consumer saving promotions. Applicable for non-contracted group bookings. This promotion is also subject to our Standard Promotional Conditions. Book any Beaches Resort vacation of 6 nights or more to be eligible to a Beaches Branded Wine Basket & a $250 Spa Credit & a Free Catamaran Cruise for up to 5 people per booking by April 23, 2019. IMPORTANT NOTE: This promotion WILL NOT have a registration page; you must enter the respective promo code EGGSTRAFUN when completing the booking in order to receive this promotion¿s offers. Travel Window: Apr. 17, 2019 - Dec. 26, 2020. Blackout Dates apply. Blackout Dates: Apr. 14 - 28th, 2019 | Nov. 26 - 30, 2019 (Beaches Turks and Caicos only) | Dec. 18 - 31, 2019 | Feb. 15 - 21, 2020 | Apr. 5 - 19, 2020 | Nov. 21 - 27, 2020 (Beaches Turks and Caicos only) | Dec. 16 - 31, 2020. Offer valid for all room categories at any qualifying Beaches Resort. Beaches Resorts bookings are eligible to receive a Beaches Branded Wine Basket & a $250 Spa Credit & a Free Catamaran Cruise per booking. Offer valid for booking made during April 17 - 23, 2019. Offers valid for bookings traveling April 17, 2019 - December 26, 2020; blackout dates apply. Offer valid for one qualifying stay of at least six (6) PAID nights. Blackout Dates and Travel Dates are as specified in our Standard Promotional Conditions. Guests MUST ENTER promo code Beaches - EGGSTRAFUN when making the booking for guest to be eligible for the promotion¿s offers. Information provided is subject to verification and entering promo code is not a guarantee that your booking qualifies for the offer. The product offered and color may vary from the product initially displayed on the landing page. Promotional gift cannot be mailed to P.O. boxes. Promotional gift, the Wine Basket, will be distributed 6-8 weeks post-travel, timing may exceed depending on travel dates and inventory. The Spa Credit and services must be redeemed on resort at the Red Lane® Spa and during the applicable stay. The Catamaran cruise is only redeemable at the Island Routes Tour Desk on resort and the tour must be taken during your qualifying stay. This promotion is not applicable to contracted Groups. This promotion is also subject to our Standard Promotional Conditions including blackout dates and is combinable with all of our Standard Promotions (Including our Seasonal Promotions), Standard Resort Offers and with our current Loyalty & Travel Desk Discounts. In addition this promotion is subject to the conditions set out by our Standard Disclaimers. Vacations booked across the Fall at any Beaches Resorts on seven (7) paid nights or more will have the choice of a Sesame Street® Tuck In for Tykes (valid for children ages 5 and under) or a 30 Minute Couples Massage. Booking window: Now - until further notice. For travel Aug. 14 - Nov. 20, 2019 | Aug. 14 - Nov. 20, 2020. Offer valid for new bookings only. Offer valid for Beaches Resorts only. This offer must be booked between now - until further notice. For travel between Aug. 14 - Nov. 20, 2019 | Aug. 14 - Nov. 20, 2020. Bookings must be for a minimum of seven (7) paid nights within the travel window. Offer is limited to one complimentary gift per stay, per family, per room. To be eligible for the Sesame Street® Tuck In or 30 minute couples massage, guest must register their booking within 72 hours at http://www.beaches.com/fallintosavings-registration. The Sesame Street® Tuck In offer is only valid for children ages five and under. The Sesame Street® Tuck In for Tykes is to be booked on resort and character preference is based on availability. The 30 minute Couples Massage must be redeemed on resort and during the applicable stay at a Red Lane Spa. Not valid for group bookings. Information provided is subject to verification and registering is not a guarantee that your booking qualifies for the free gift. Offers are not redeemable for cash towards the balance of any bookings, cannot be used for any applicable tax, service charge, or gratuity and has no cash value, cannot be sold or exchanged, and is not redeemable for cash. Offer has no blackout dates. Offer is not combinable with standard Gift with Purchase booking promotions. This promotion is also subject to our Standard Promotional Conditions and is combinable with all of our Standard Resort Offers. In addition, this promotion is subject to the conditions set out by our Standard Disclaimers. 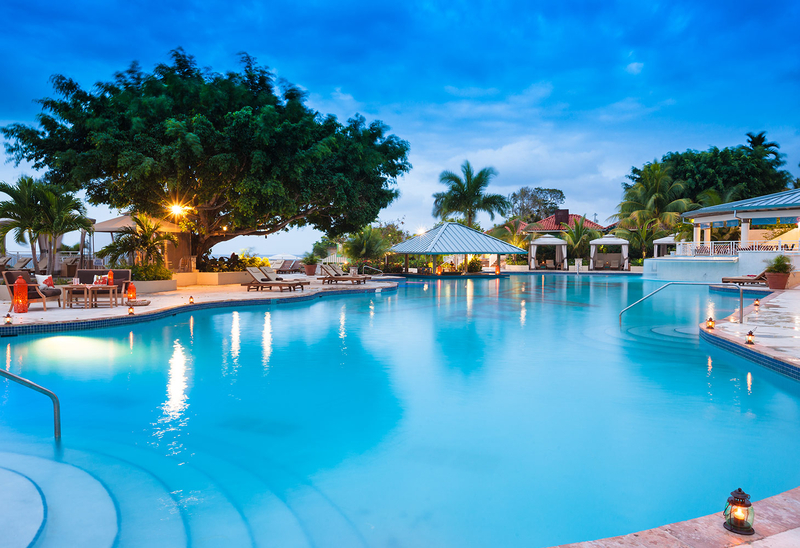 Save up to 65% off rack rates when you book a minimum of 3+ nights at this resort. For travel now - Dec. 24, 2020. Maximum 2 person limit for offer. Offer is based on double occupancy, minimum 3-PAID nights stay. Promotion is combinable with Beaches consumer savings promotions, Sandals Select points and Free Weddings where applicable. Other percent-off savings depend on room category and time of travel. Offer can be changed or withdrawn at any time. Get up to $335 Instant Credit. Offer: $335 Instant Credit on 6 paid nights or more. Offer: $135 Instant Credit on 3-5 paid nights. For inclusive offer, the $335 & $135 Instant Credits are in USD, applied to the base fare and excludes government taxes and fees, which must be paid at time of booking and is fully non-refundable. Offers are combinable with other consumer savings promotions. Offers are NOT combinable with other Instant Credit offers. Offers are combinable with Sandals Select Rewards Point promotions. Sandals Select Program Members are able to redeem up to 25% of their total booking price minus all the discounts. Booking names must match the Sandals Select Membership account or it will be null and void. Unique Travel Corp., reserves the right to verify all accounts prior to adjusting reservations. Limit one redemption reservation per member. Offers may not be applicable to group bookings. All featured prices are in US Dollars. Offers are subject to availability throughout promotional period and may be changed or withdrawn at any time. Other restrictions and limitations may apply.